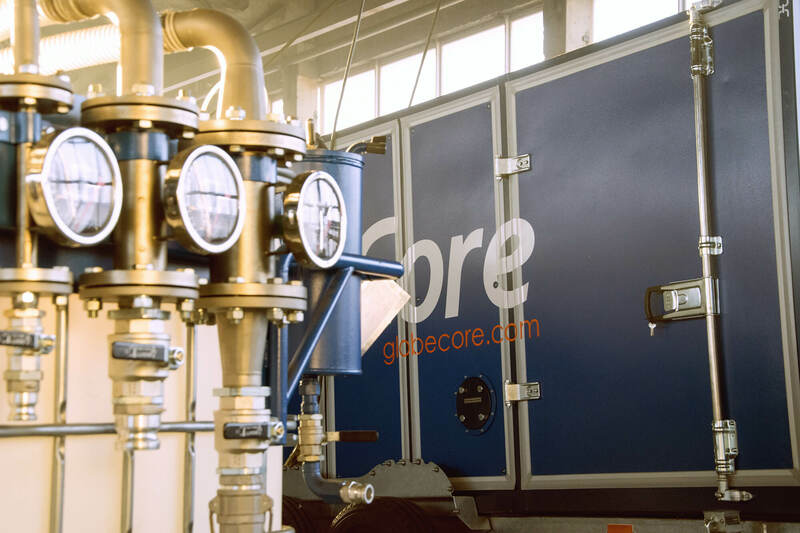 Obtaining Diesel Fuel - GlobeCore. Oil Purification Systems. Let us consider each of these stages individually. Primary processing (direct distillation) means separation of oil into fractions according to their boiling point. Technically, this process is carried out in rectification columns. It results in receiving diesel fractions that can be used for obtaining diesel fuel in the future. Secondary processing is necessary to change chemical composition and structure of hydrocarbons. Most often this is achieved by means of cracking. It splits large oil molecules into smaller ones. Thermal, catalytic and hydrocracking can be used depending on the specifics of the technological process. From a technical point of view, it is worth noting that secondary processing is quite complex and expensive. But it is impossible to omit it because you will simply fail to get the fuel of a proper quality and to increase its yield. The final stage of diesel fuel production is mixing (compounding) of straight-run fractions with secondary processes components and additives. GlobeCore USB type plants can be used to perform high-quality compounding. This equipment uses injection method and the principle of hydrodynamic impact, making it possible to increase the cetane number of diesel fuel and to ensure that the resulting product does not break down for at least 180 days. Modern hydrodynamic (inline) mixing plants have proven themselves in industrial use as cost-effective, accurate and sustainable means of production of high-quality fuels with optimal cost. The achievable cost savings and increase of production profitability, compared to conventional technology of mixing components in mixing vessels, can accelerate the return on investment up to 60% per year and provide a return on the project during a period of one year or less. To provide good low-temperature properties of the product it is necessary to use lighter fractions for its production (winter and arctic diesel fuel). It is also possible to conduct dewaxing and introduction of special additives that can increase the cetane number. Hydrotreating of diesel fuel allows for obtaining cleaner and eco-friendly grades of fuel. Using smoke suppressant and depressant additives reduces the level of air pollution when driving in an urban environment.